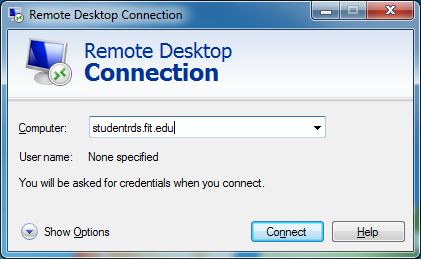 You will need to go to the website: http://itservices.fit.edu/tssa and agree to own the license to activate the software before you can use the sofware on the StudentRDS server. 3. 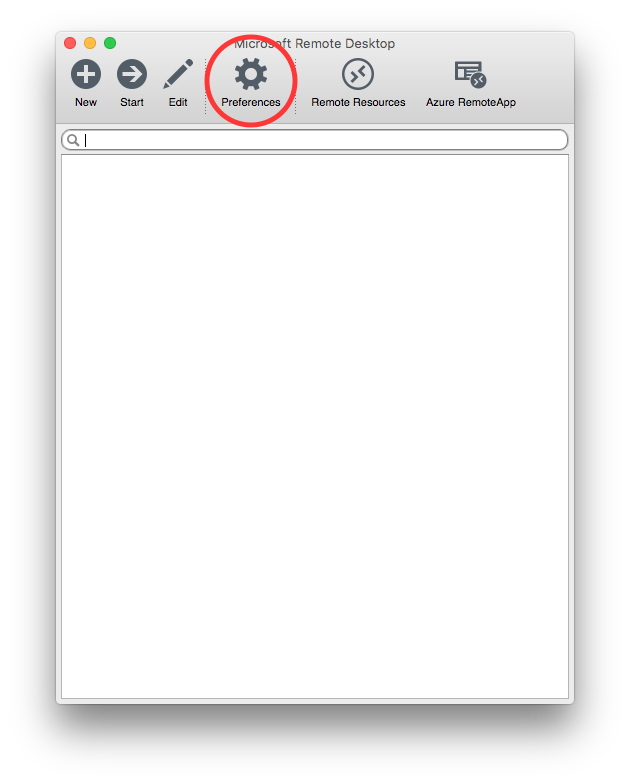 The default setting will allow the clipboard to be accessed, but if you want to be able to drag and drop files into your computers hard drive you can also enable local drives by clicking "Show Options" on the menu above. They will show up under the Computer menu on the server. 4. 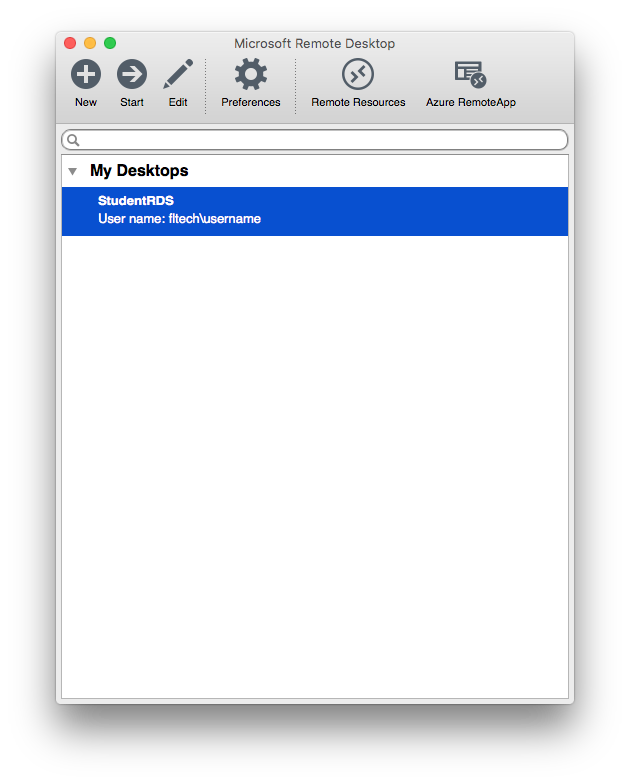 Once you click Options, then choose "Local Resources", and more and it will enable to file drag and drop option once you log in. 6. Click on the "Advanced" tab, followed by the "Settings..." button under the 'Connect form anywhere' section. 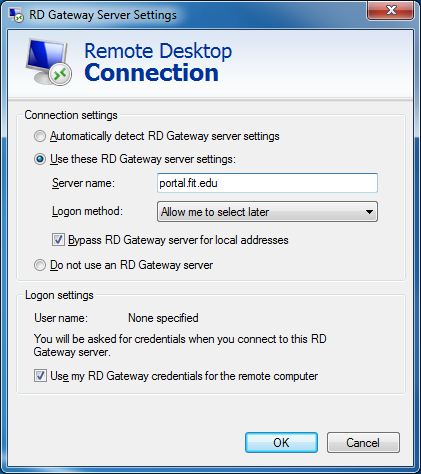 Select "Use these RD Gateway server settings:"
8. Click 'OK', then 'Connect'. 10. Click OK, and the remote session will open. 11. Click OK to the Terminal Server Legal Agreement reviewing it if necessary. 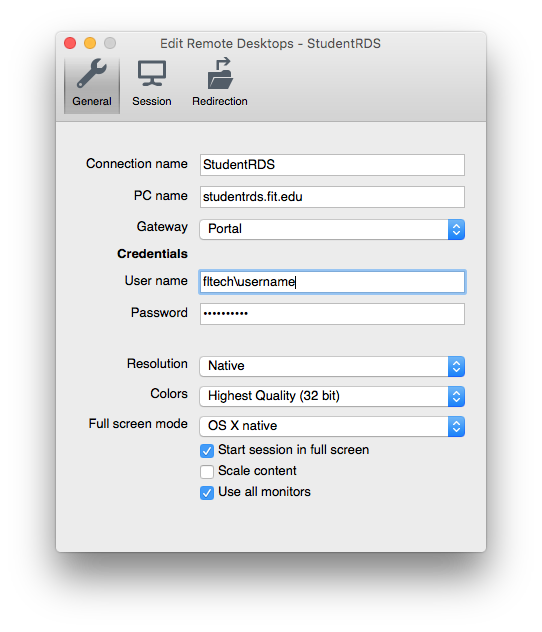 To connect to Student RDS from a Mac, download Microsoft Remote Desktop* for free from the Apple Store. If you have an older version please install and use the newer one from the link above. 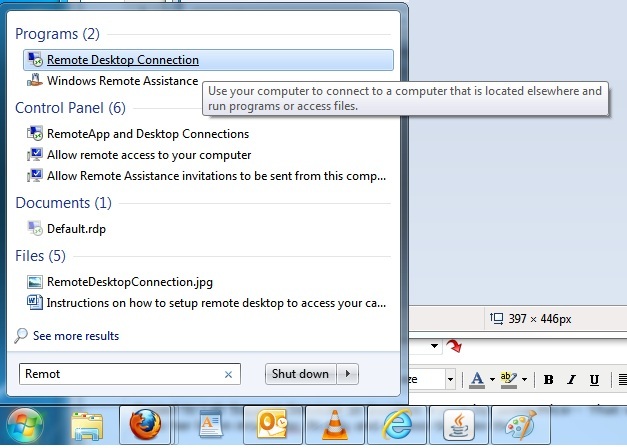 *Note: The version of Microsoft Remote Desktop installed with Office products for Mac will not work. 1. 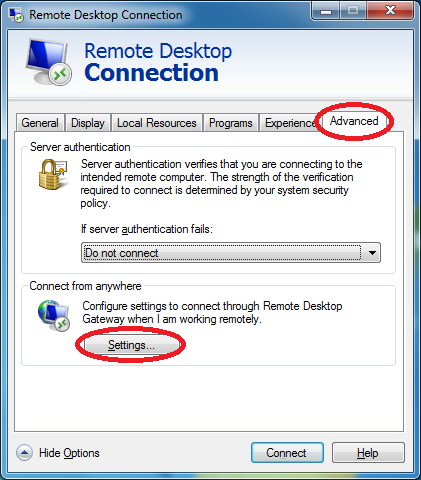 Once Microsoft Remote Desktop is downloaded, open it and click "Preferences." 2. When the "Preferences" screen pops up click the '+' in the lower-left corner to add a new gateway. 5. 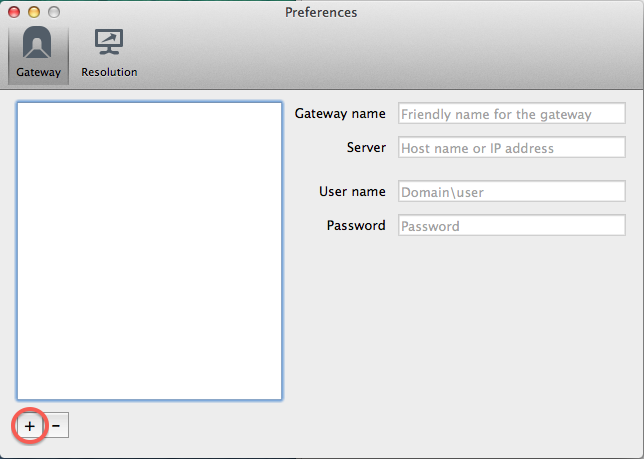 Back on the main page click "New"
Gateway: From the dropdown, select the Gateway you created in the previous section. 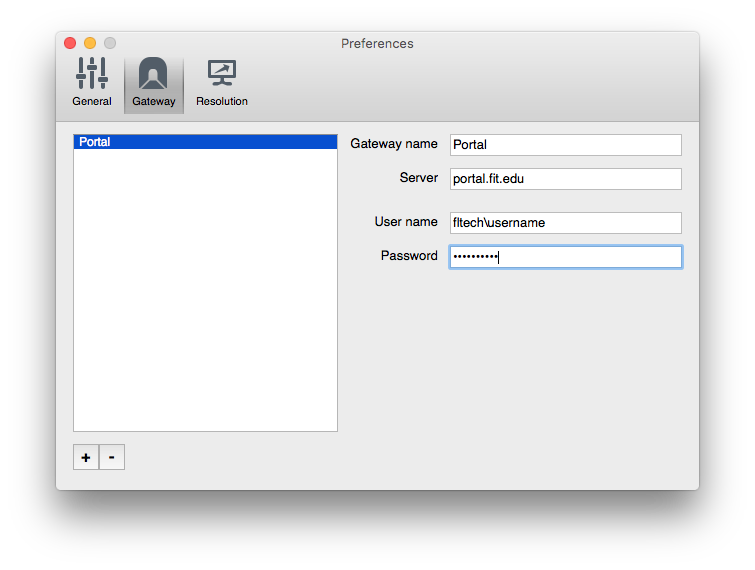 Be aware that there are many things you can configure if you go to the menu at the top RDC> Preferences. 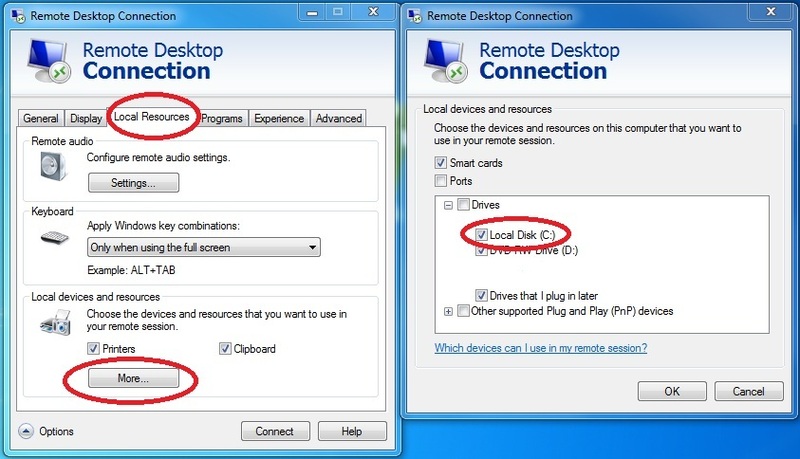 There you can choose the Screen size and whether or not you want to share drives, etc. 9. It will then log you in. Make sure to read the screen explaining the licensing. 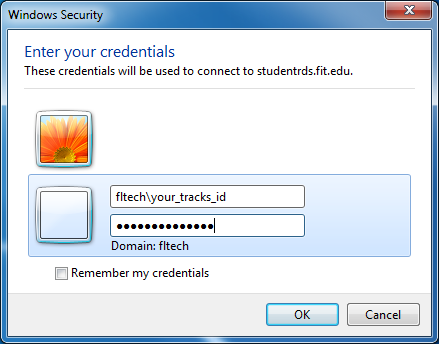 IMPORTANT: Some software may not be available to you until you go to the website: http://itservices.fit.edu/tssa and agree you have the license to activate them. How can I access my UDrive? How do I install NetExtender?